Below you will find photographs that have been acquired through Mr. Phil Bendall. 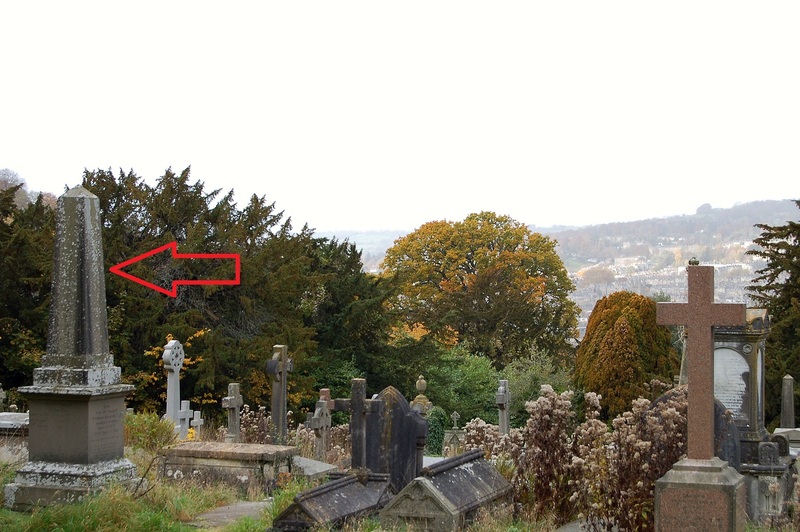 He was kind enough to go out to the Abbey Cemetery and take these shots for me. 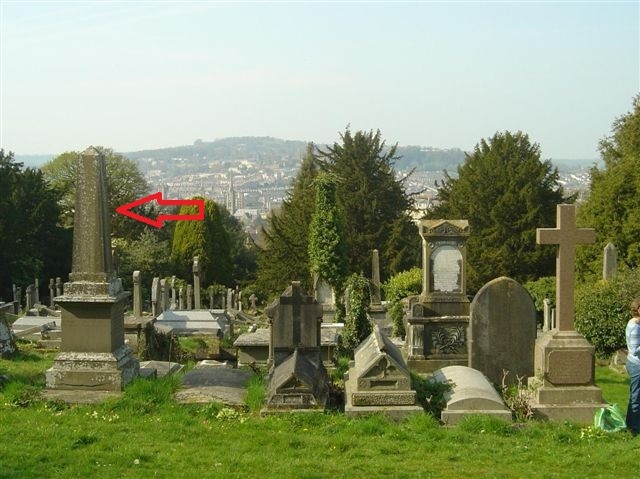 As stated in the Winslow Biography page, he is buried in the Abbey Cemetery in Bath, England. 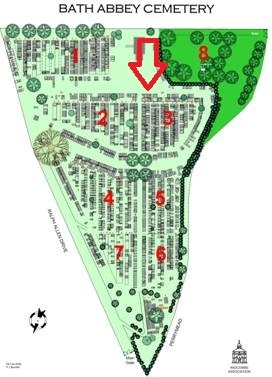 You will be able to get a better idea of the lay of the land by viewing it from a birds eye view. 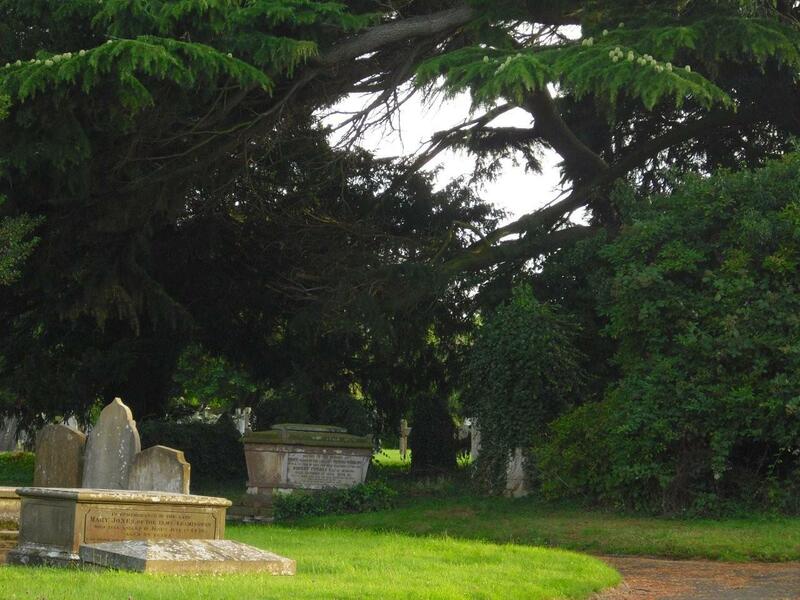 The Winslow tombs are in section 3. 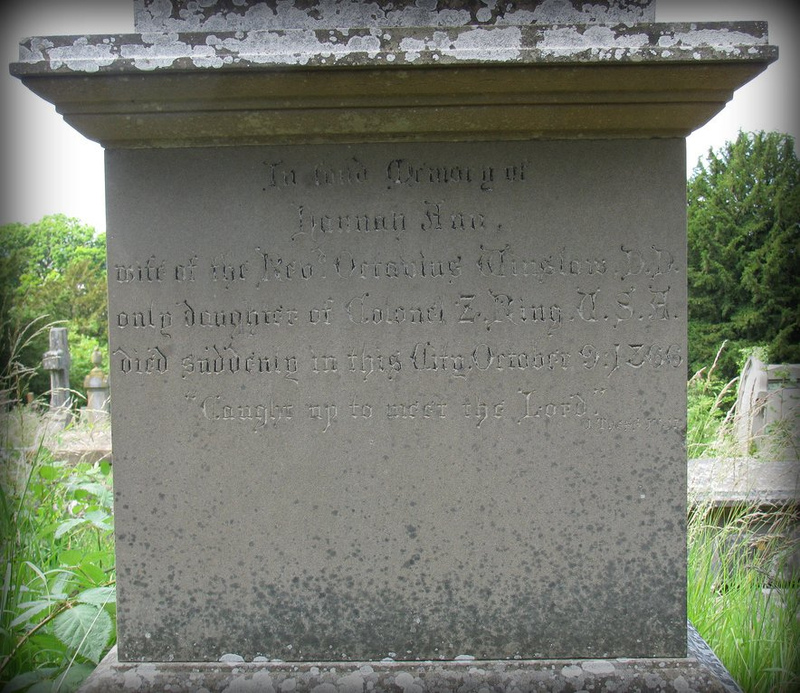 Next, following the images of the Octavius and Hannah tomb stone, you will see images related to the tomb of Mary and John Whitmore Winslow, the mother and eldest son of Octavius. 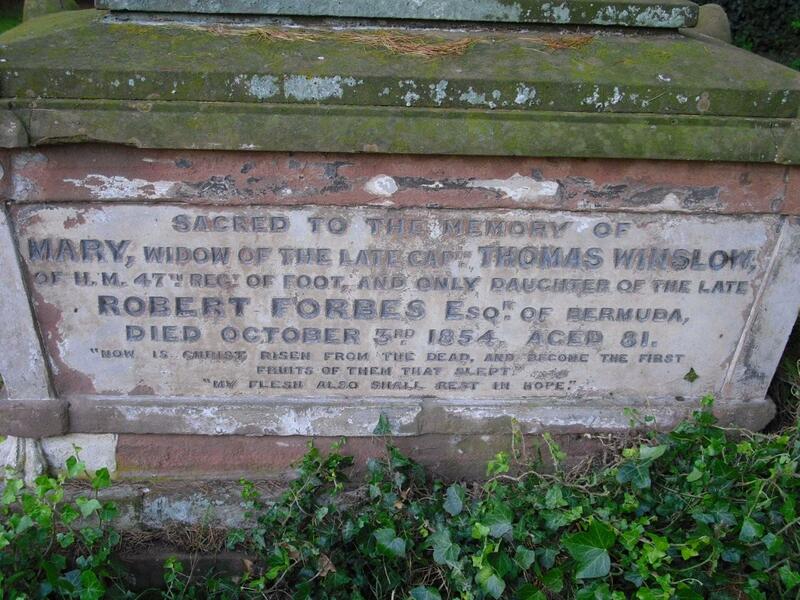 Above you will find a “context photo” of the Winslow tomb. 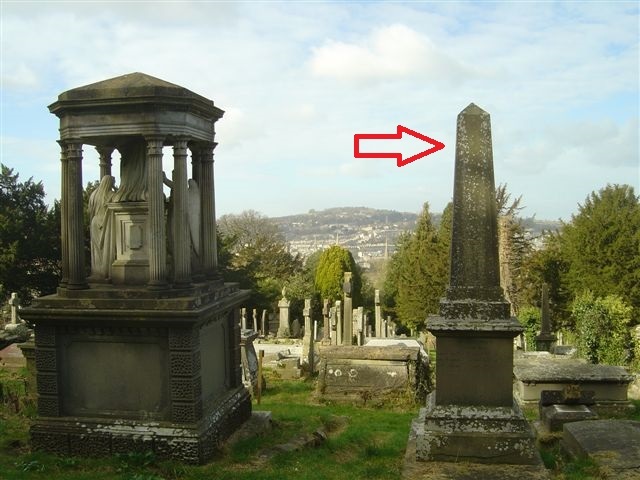 Mr. Bendall tells me that the building just to right of the obelisk in the far off background is the Abbey and behind it are the Georgian buildings in the center of town going up to Lansdown. 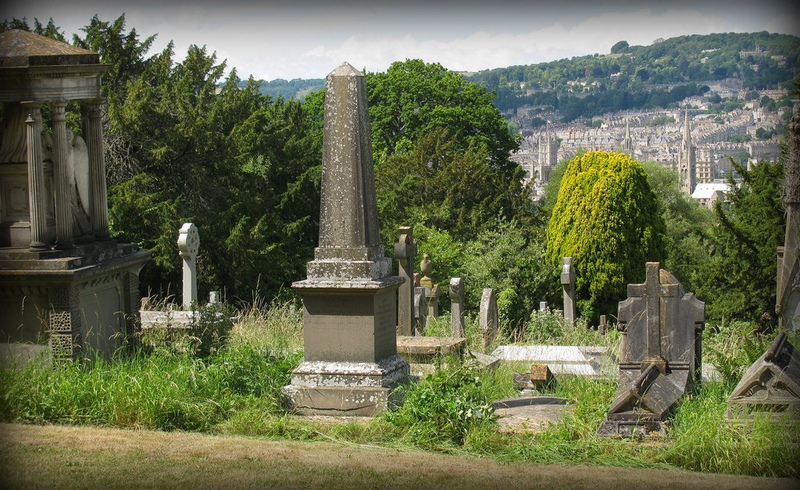 The image was taken from in front of the mortuary chapel looking north-westwards. 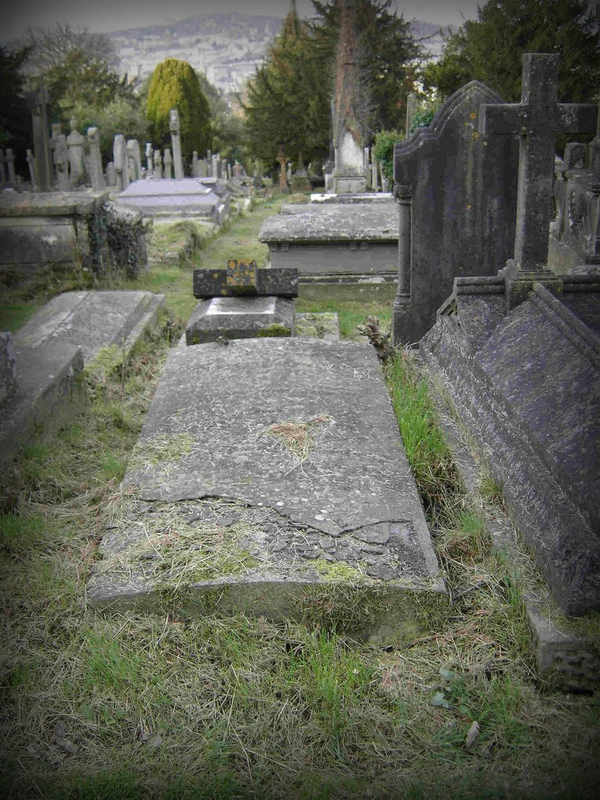 The tomb just to the right of the obelisk is that of Emma Winslow, sister of Octavius. 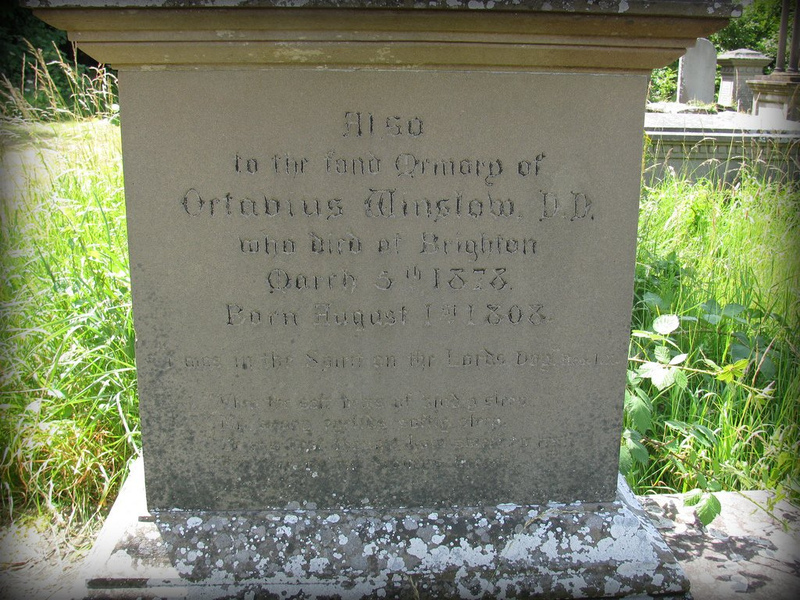 Close up of Octavius and Hannah Tombstone. 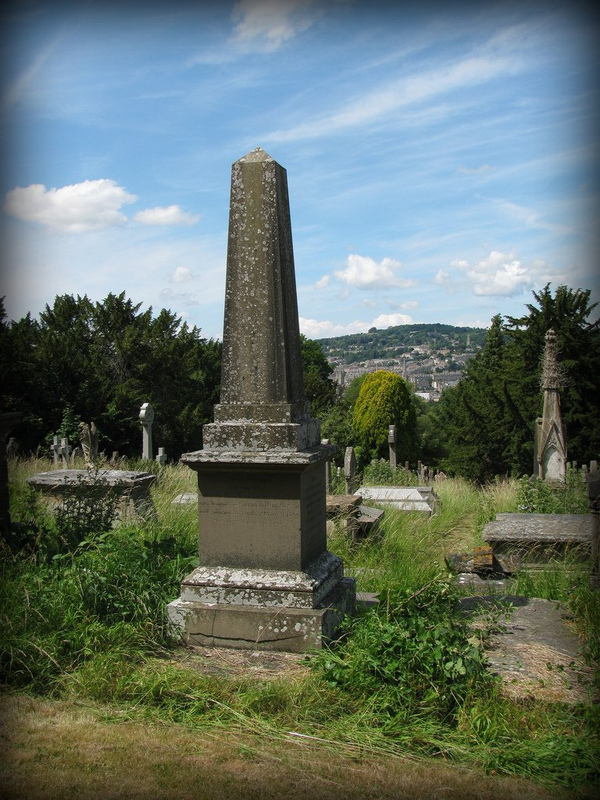 Another close up shot of the Winslow obelisk with the tomb of Emma Winslow to the close right. South side of Octavius and Hannah tombstone. 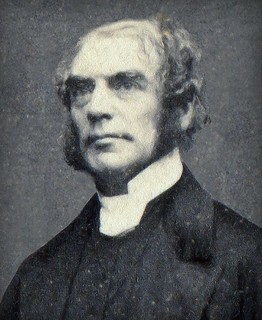 wife of the Revd Octavius Winslow, D.D. only daughter of Colonel Z. Ring. U.S.A.
East side of Octavius and Hannah Winslow tombstone. My weary eyelids softly sleep. Be my last thought how sweet to rest. For ever on my Saviour’s breast. 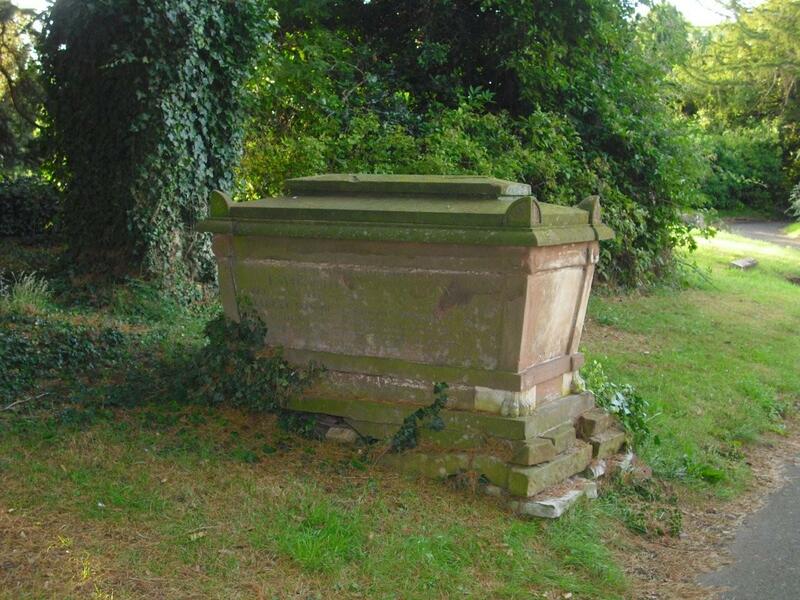 Tomb of Emma Winslow, sister of Octavius Winslow. 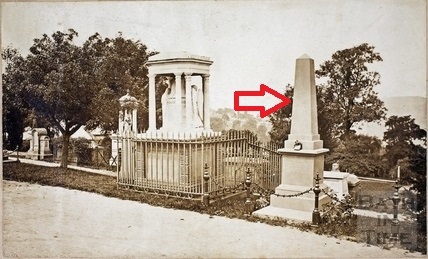 Above photo is a close up shot of the Emma Winslow tomb. The above image seems to be taken just around the turn of the century. You will note there once was a gravel pathway and chain fencing just in front of the monument. 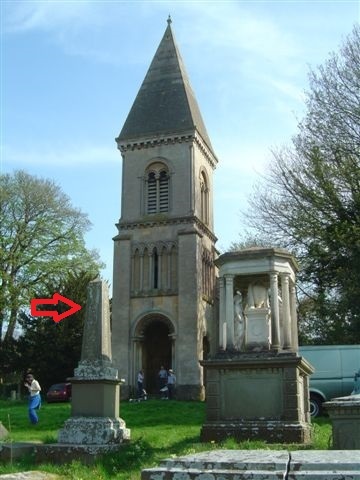 As you may see above, the Winslow monument is practically right in front of the Abbey. 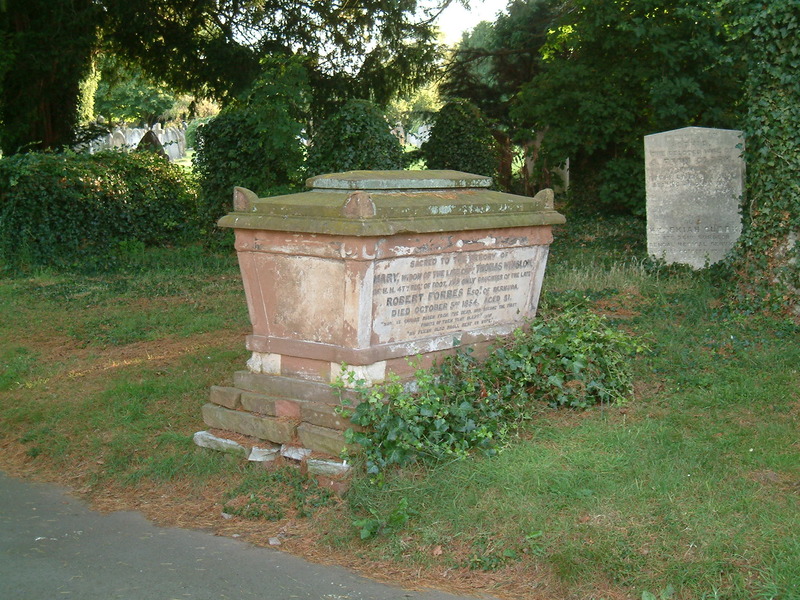 Overall view of Mary and John Whitmore tomb. Mary Winslow inscription close up. 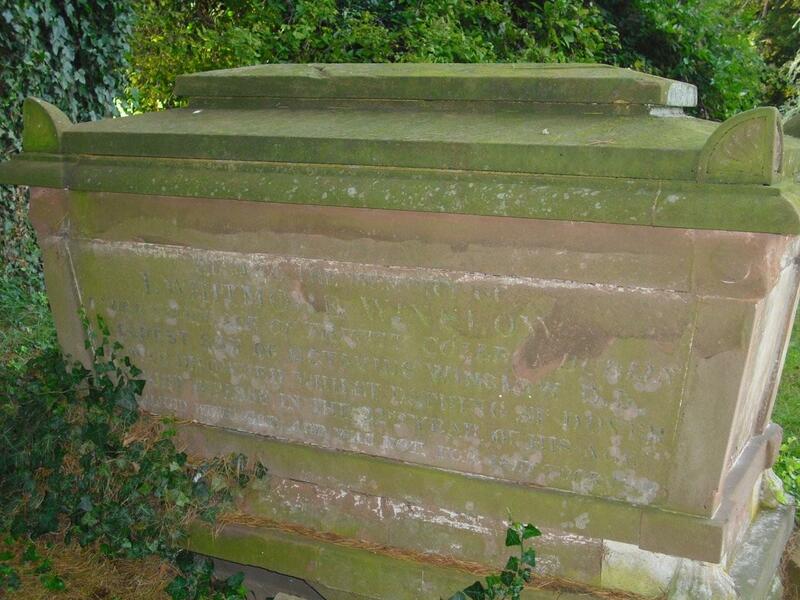 John Whitmore inscription close up. Many thanks to you Matt, as well as Mr. Phil Bendall, for giving us a peek at these very detailed pictures. Excellent, excellent, excellent!